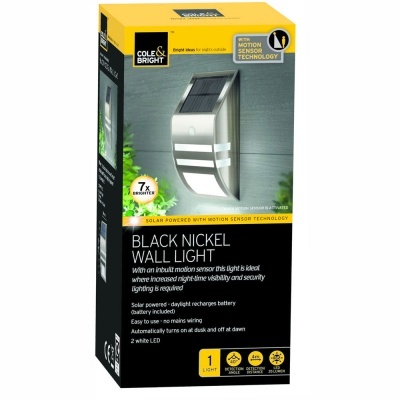 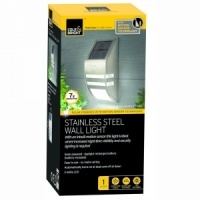 Cole & Bright Motion Sensor Black Nickel 'Solar' Wall Light provides a zero operating cost wall mounted security light that automatically turns on at dusk and off at dawn. 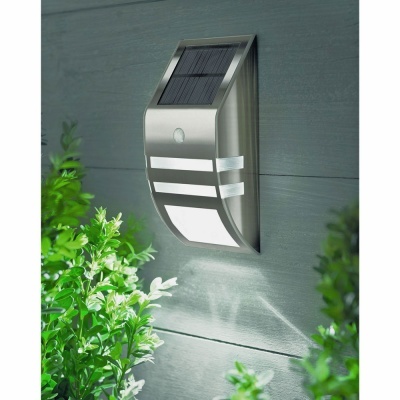 Utilising long life LEDs, the solar powered wall light operates 8 hours run time on full charge, and no wiring is required. 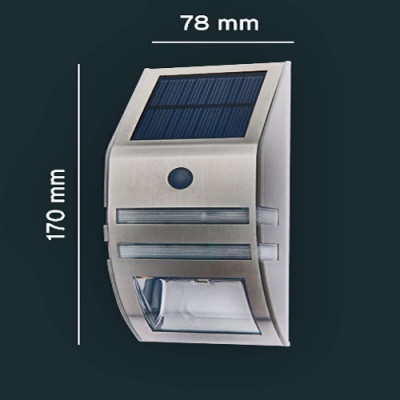 Daylight recharges solar battery (included) which powers 2 white LEDs that illuminate the central stripe lights in standard output mode, and the additional lower light panel illuminated upon motion sensor activation.